A.B. 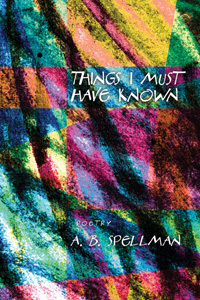 Spellman is the author of two books of poems, Things I Must Have Known (Coffee House Press, 2008) and The Beautiful Days (The Poet’s Press, 1965), and the nonfiction book Four Lives in the Bebop Business (Pantheon Books, 1966), later republished as Four Jazz Lives. He worked at the National Endowment for the Arts from 1975 to 2005. By the time he retired, he was Deputy Director of Programs, and the agency named one of its Jazz Masters awards in his honor. He has served on panels for the Rockefeller Foundation and ASCAP, and is on the Advisory Board of the Smithsonian Institution’s African-American Museum. In point of residential rights and privileges in the city of Washington, all Americans are created equal…the rights and immunities of the National Capital are no longer limited by reason of race, color or previous condition of servitude…No American is now too black to call Washington his home and no American is so mean as to deny him that right.